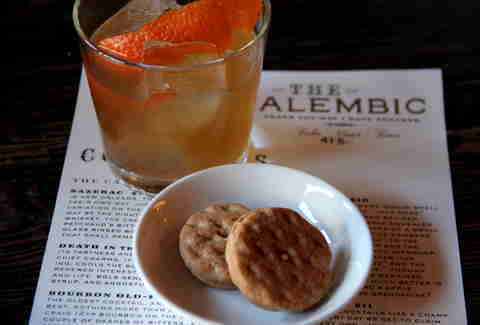 Because Girl Scout Cookies are the best thing ever and alcohol is the tied-for-best thing ever, you're gonna want to direct your attention to Alembic, which's PAIRING THEM together, with two Girl Scout Cookies served with every one complementing cocktail. The Pairing: A good cocktail all on its own, it's even better with the GSC (rum + coconut = obviously). 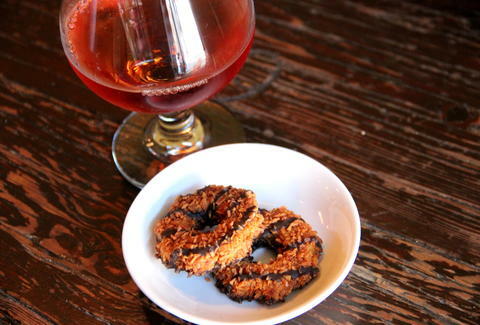 Honestly though, what doesn't go well with Samoas? Stagnant water you found under Central Freeway? Actually... yeah. That maybe wouldn't go. 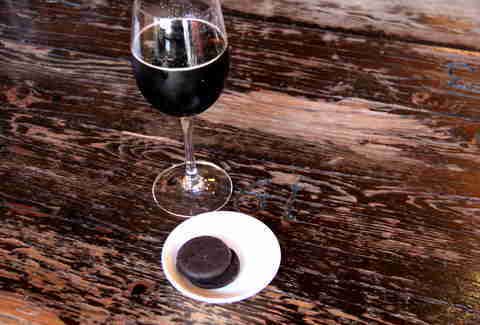 The Pairing: The drink's actually a bit more bitter than you might expect, which pairs pretty nicely with the cookie -- the oatmeal mellows out the bitterness, and you're left with mostly just peanut better, which is a good predicament to be in. 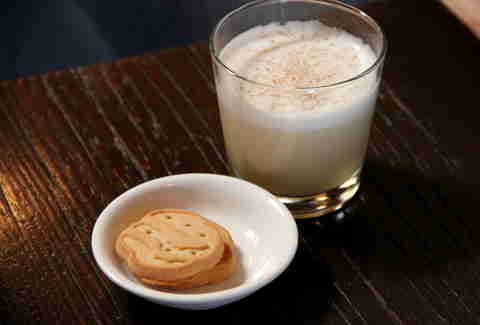 The Pairing: Basically like if you were having cookies and milk... if your milk was also spiked with bourbon and... not really milk but more of a shake. So, that. The Pairing: Holy crap, this cocktail tastes like peanut butter! This is seriously the best thing to ever happen. Ever. OH, DUDE!!!!! THE TAGALONGS TASTE LIKE PEANUT BUTTER, TOO!!!!!!!! The Pairing: You know in The Walking Dead how The Governor is TERRIBLE, but kind of necessary because of what he brings out in Rick? 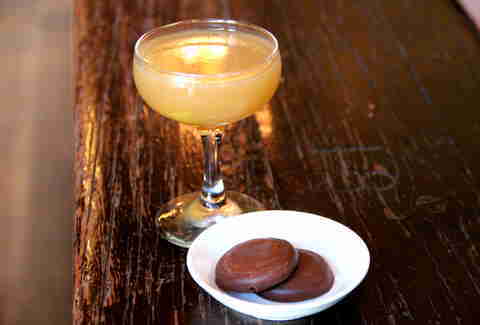 Well, this combination is kinda like that: the cocktail is The Governor, the Thin Mint is Rick, and together, they make for an awesome series about zombies. Joe Starkey is Thrillist's SF Editor, and ate alllllll the cookies. Follow him on Twitter.